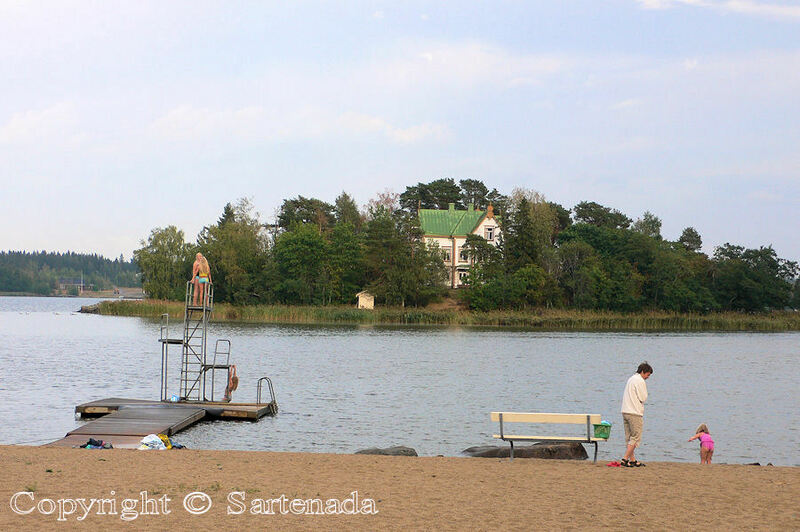 Krisinestad in Finnish Kristiinankaupunki is small idyllic town on Western coast of Finland. The distance from Helsinki is 333 kilometers / 206 miles. The amount of population is about 7000. 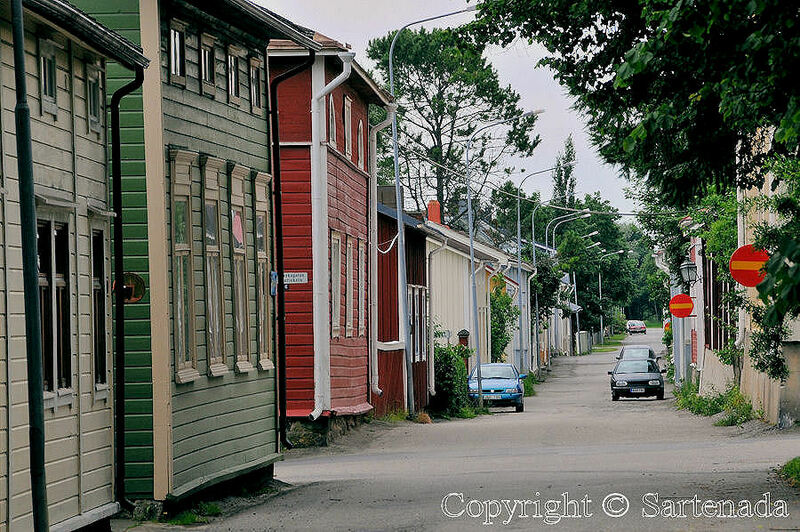 I love this town due to its old town area with historic wooden houses with alleys. 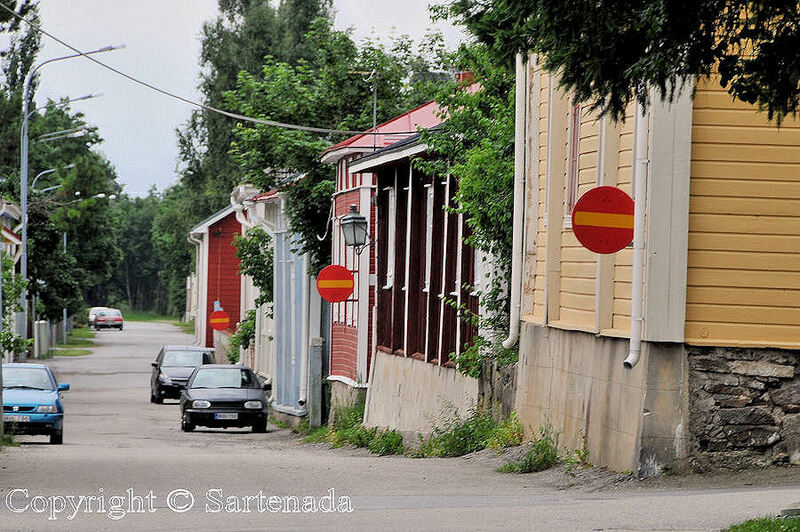 The town is bilingual, Swedish and Finnish. I have visited in Kristinestad in 2006 and in 2012. 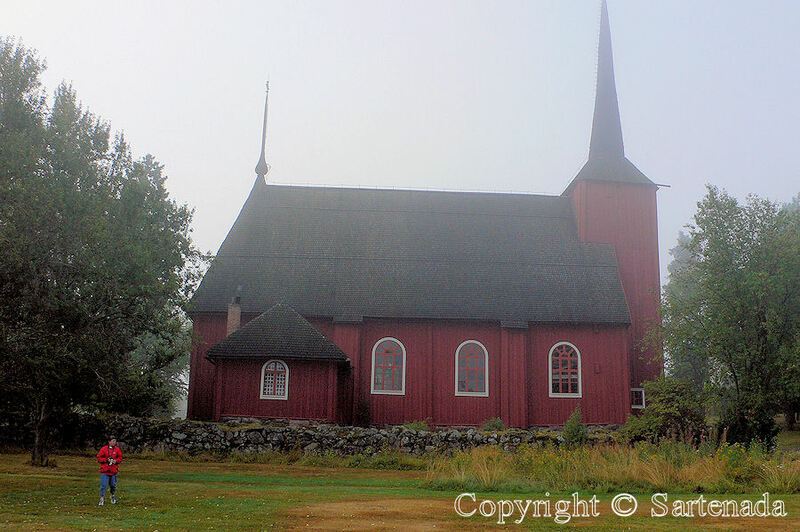 Last 12 photos are from 2006 which I took with my old camera when we returned from our car trip to Nordkapp (Norway). 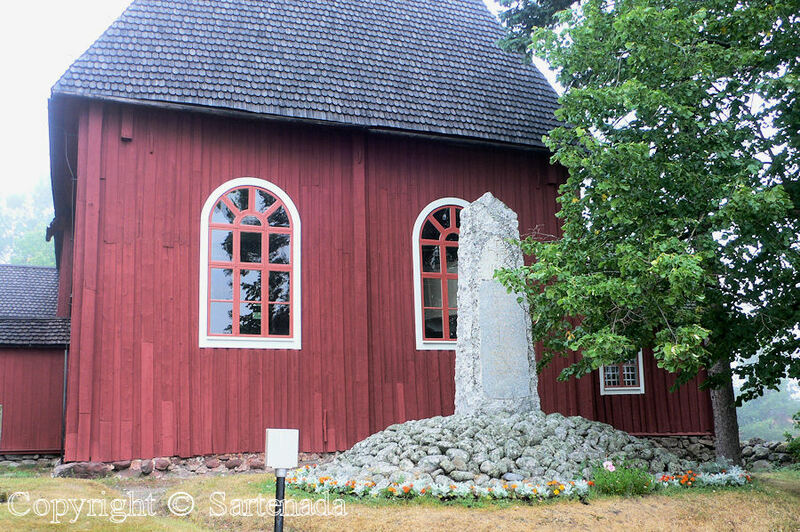 They show old wooden Ulrika Eleonora’s (Queen of Sweden 1688-1741) church. It is from 1700. 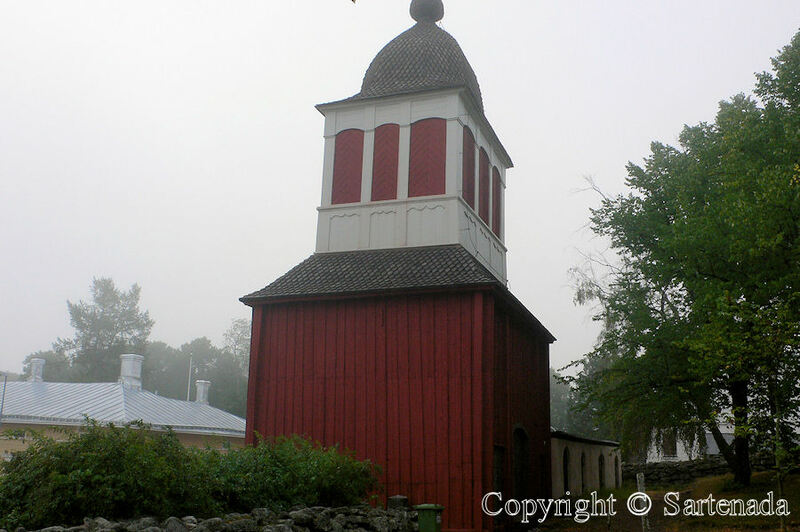 The bell tower is built in 1702–1704. There was morning fog when I took photos. Last 4 photos show the camping area where we spent the night before driving to our home. 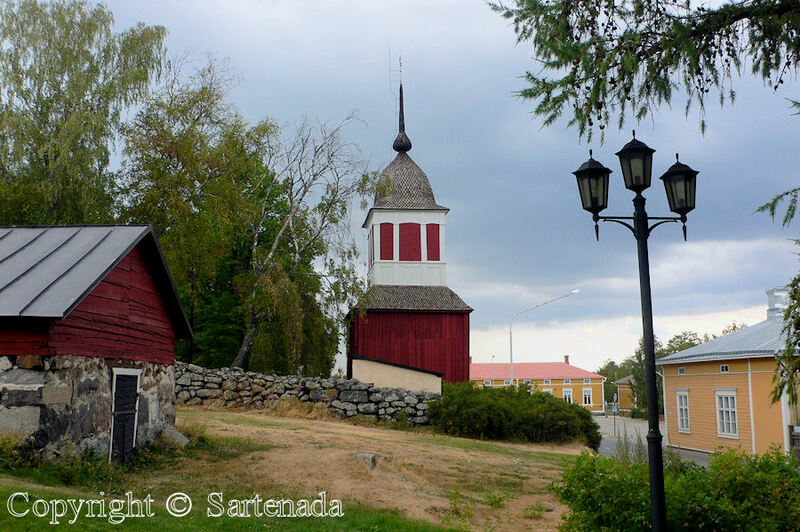 First 34 photos show to You the old town with wooden houses, open-air museum and some views from the town center of Kristinestad. 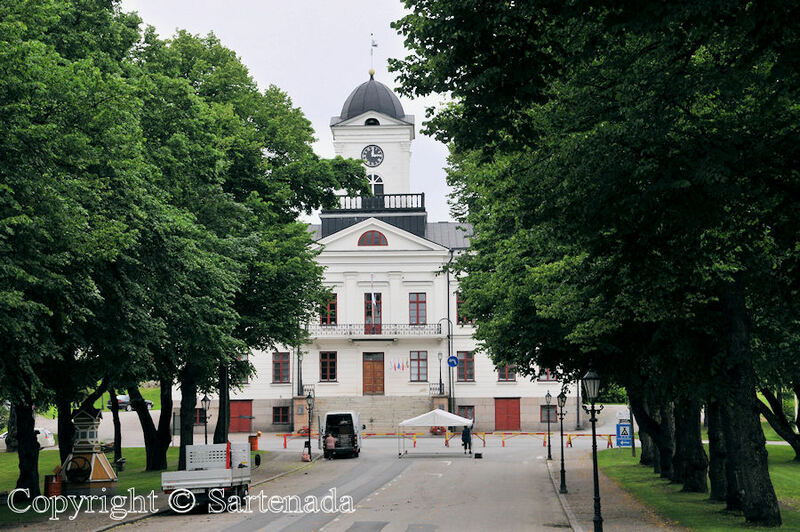 Krisinestad en finlandés Kristiinankaupunki es una pequeña ciudad idílica en la costa occidental de Finlandia. La distancia desde Helsinki es de 333 kilómetros / millas 206. La cantidad de población es de aproximadamente 7000. Me encanta esta ciudad debido a su zona vieja con casas históricas de madera con callejones. La ciudad es bilingüe, sueco y finlandés. He visitado en Kristinestad en 2006 y en 2012. Últimos 12 fotos son de 2006, que tomé con mi cámara vieja cuando volvimos de nuestro viaje en coche a Nordkapp (Noruega). 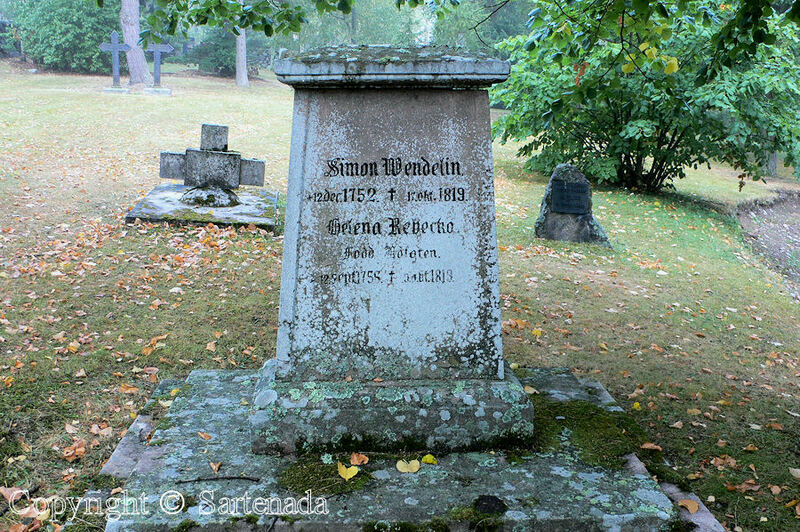 Muestran madera vieja Ulrica Leonor de Suecia (Reina de Suecia 1688-1741) iglesia. Es a partir de 1700. El campanario está construido en 1702-1704. Había niebla de la mañana cuando tomé fotos. Últimos 4 fotos muestran la zona de camping donde pasamos la noche antes de conducir a nuestra casa. 34 primeras fotos muestran a Usted la ciudad vieja con con casas de madera, un museo al aire libre y algunas vistas del centro de la ciudad de Kristinestad. 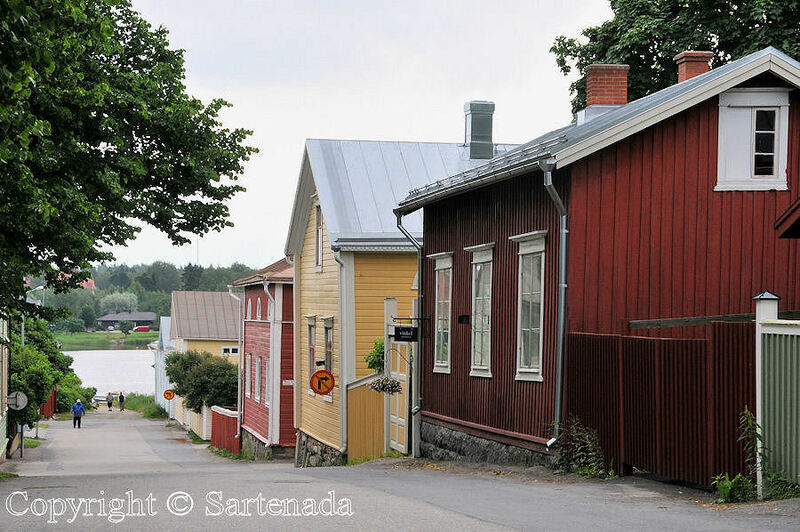 Krisinestad en finnois Kristiinankaupunki est une petite ville idyllique sur la côte ouest de la Finlande. La distance de Helsinki est de 333 kilomètres / 206 milles. La population est d’environ 7000. J’adore cette ville en raison de sa vieille ville avec maisons en bois historiques avec des allées. La ville est bilingue, suédois et finlandais. J’ai visité dans Kristinestad en 2006 et en 2012. 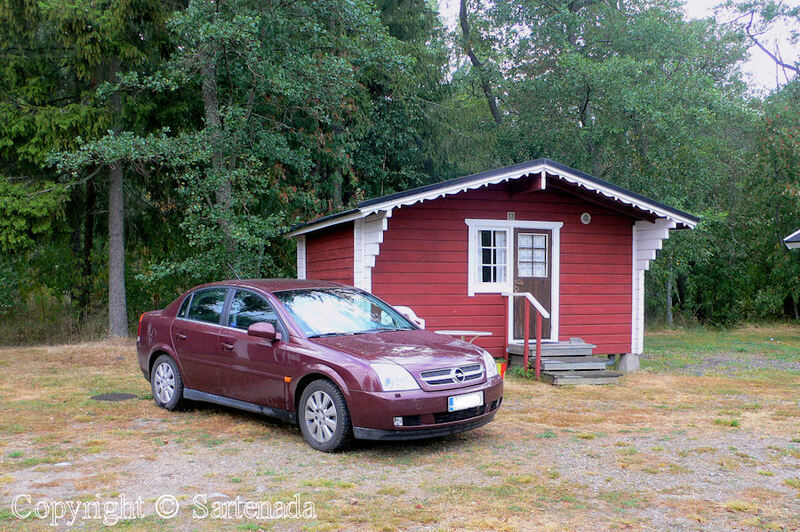 12 derniers photos sont à partir de 2006 que j’ai pris avec mon ancien appareil photo quand nous sommes rentrés de notre voyage en voiture au Nordkapp (Norvège). Ils montrent l’églisé vieille en bois de Ulrique-Éléonore de Suède (reine de Suède 1688-1741). C’est à partir de 1700. Le clocher est construit en 1702-1704. Il y avait du brouillard matin quand j’ai pris des photos. 4 derniers photos montrent terrain de camping où nous avons passé la nuit avant de conduire à notre maison. 34 photos Premier montrer à vous de la vieille ville avec ses maisons en bois, musée en plein air et des vues du centre-ville de Kristinestad. Comment ne pas être sensible au charme de cette petite ville ?! Je prendrais bien pension dans une de ces petites maisons ou dans celle isolée sur son île, avec vue sur le lac. Bonjour Marion. Je suis heureux que t’aimes les vieilles maisons en bois. Je pense qu’ils représentent une époque passée de romance. Bises et bon week-end á toi aussi. 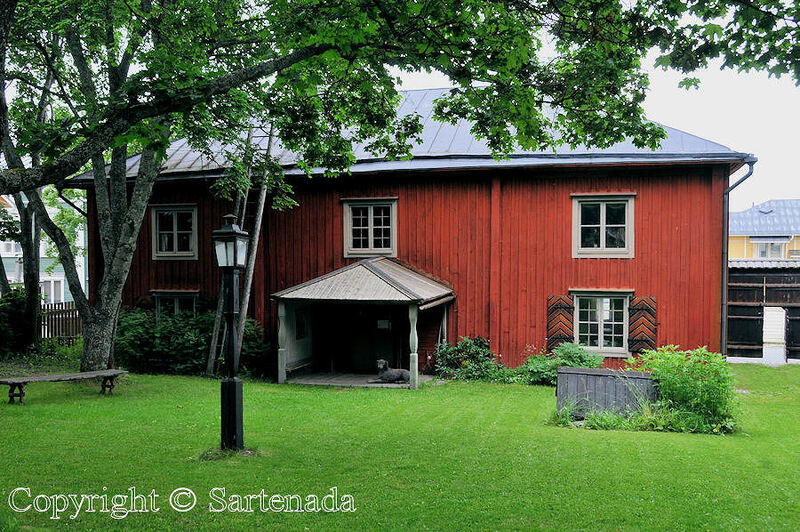 What always stands out for me is all the WOOD in Scandinavia, Sartenada, and all the wonderful colors used for painting it. FABULOUS. Many times I am amazed that many tourists stay only in Helsinki, but do not check our other nearby cities. 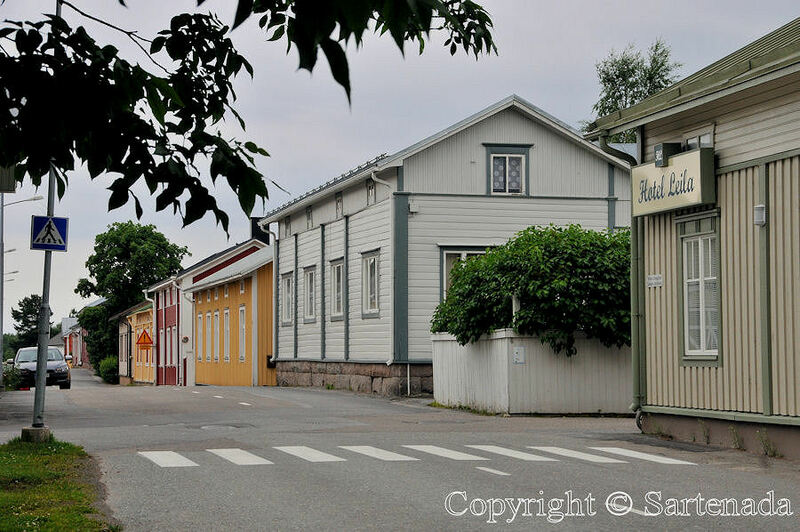 My favorite small town is Porvoo which is only about 50 kilometers / 31 miles from Helsinki, meaning less than one hour by bus from Helsinki. It is picturesque. Thank You commenting. Happy weekend! 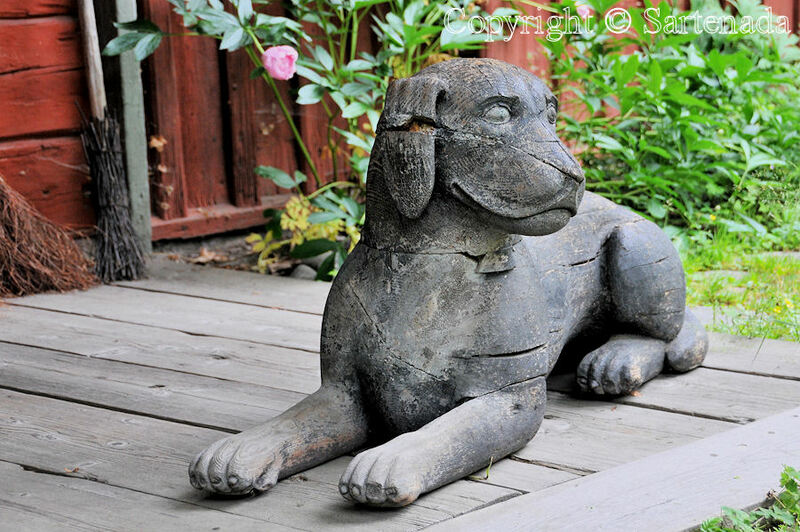 All wooden art are my favorite and that’s why I shoot photos from them every time when I find one. Thank for Your comment. Merci d’avoir fait un commentair si gentil. Je me réjouis que tu aimais mes photos. Lovely photos! 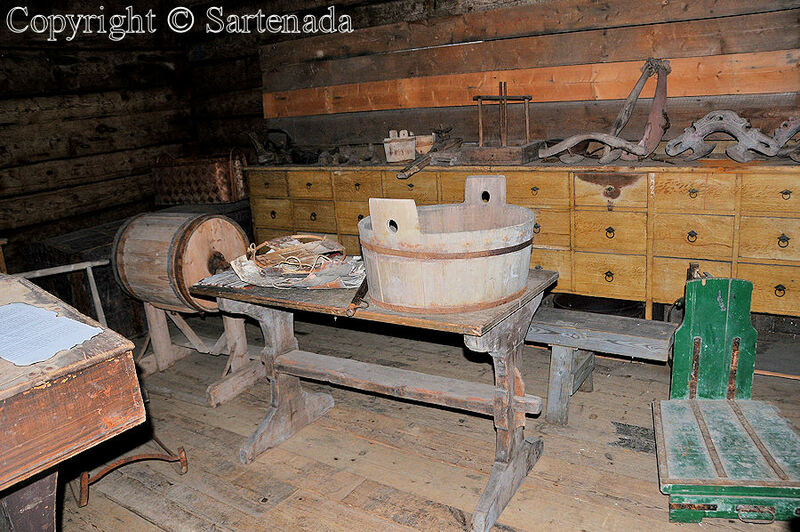 I enjoyed the indoor ones showing the sleds, barrels and implements – it is amazing what people did with wood, even before power tools. I noticed that some of the newer metal roofs have rows of bars near the lower edge. Is this to keep snow on the roof for extra insulation in the winter? How nice to read Your kind comment. What comes to Your question, not exactly. In winter when it gets warmer, snow could fall down at once and if at the same time one is passing under the falling snow load, one could possibly die or to get injuries. So its meaning is to prevent possible injuries. The weight of snow depends of its humidity. How quickly snow can fall down, I emphasize the word can, depends on the material of the roof. Normally snow is not falling down at once, but it starts to melt slowly when sunshine warms it in the Spring. If one sees in Finland icicle on eaves, it means that the roof leaks warm! So everyone who thinks to buy a detached house, can see from it how energy friendly the house is! 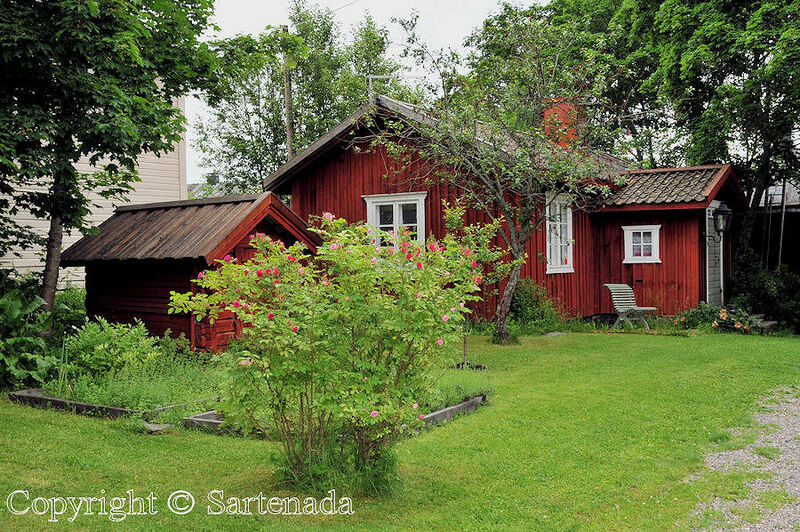 So simply and I am talking only houses in Finland. You hit the nail (touché) in Your comment. Thank You. What a charming place! 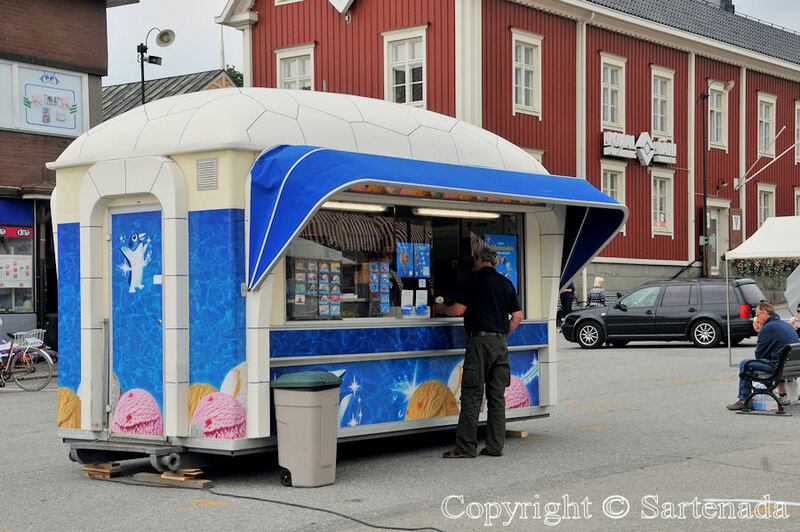 The buildings are so colorful and I also liked the ice cream truck for a nice treat! Thank You. Well, what comes to ice cream we love to eat it even in winter in our home. It happens after Sauna bath. Maybe odd habit, but we love it. What a lovely place and photo. Thank you for writing to us about this places. Thank You commenting so nicely. Kristinestad reminds me of Turku a bit, I guess that’s logical, to some degree. 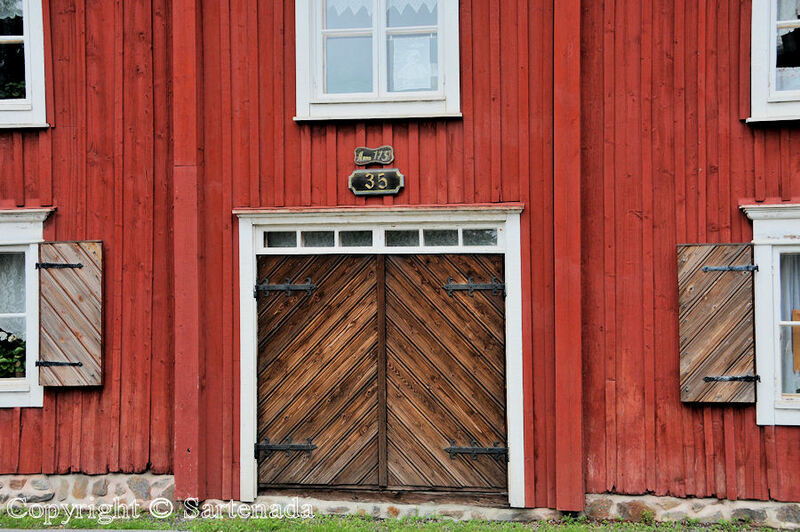 During our visit to the Open Museum in Turku, I hit my head twice :-), because the doors were so low (I am 1,75 m) and the second time, there was this nice lady who laughed with me 😆 (I didn’t hurt myself, I was just loud). 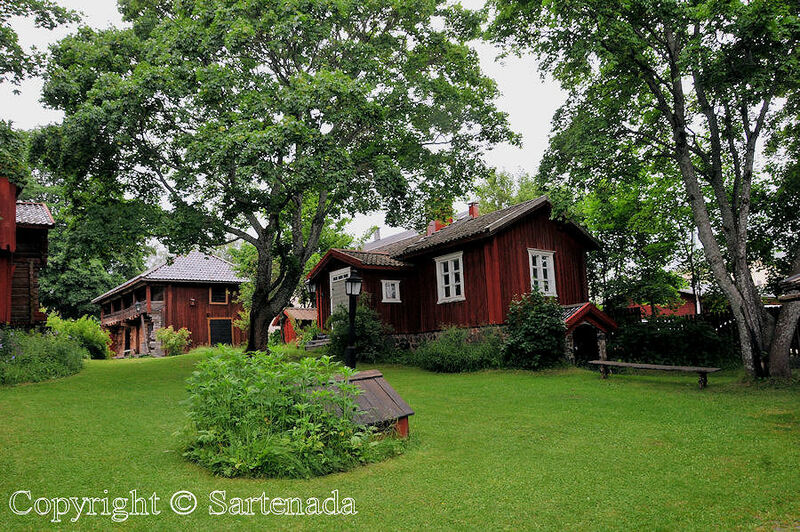 I love Scandinavian open air museums … one can see many things shown there also on my Granny’s farm in Eastern Slovenia (she got them when she was young and then just went on using them, without bothering to buy new, modern products, as long as the old ones worked). Schönes Wochenende und viel Spaß! Thank You for Your interesting comment. 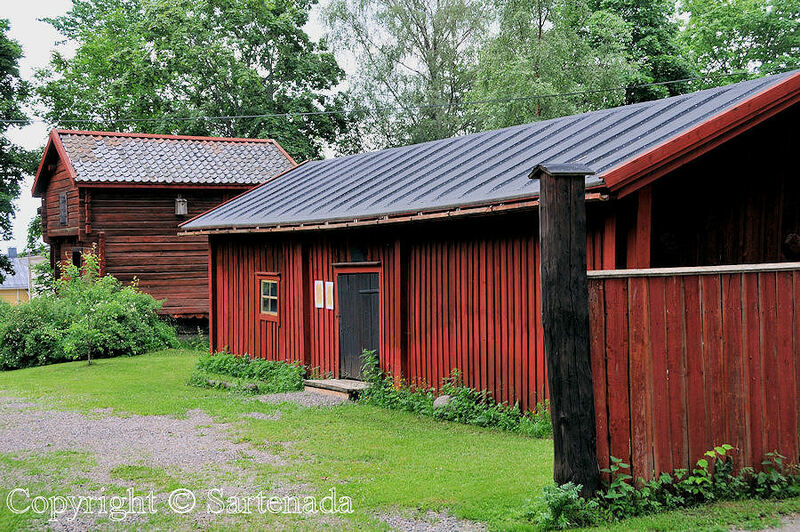 The Luostarinmäki Handicrafts Museum is a “must to visit” when in Turku. 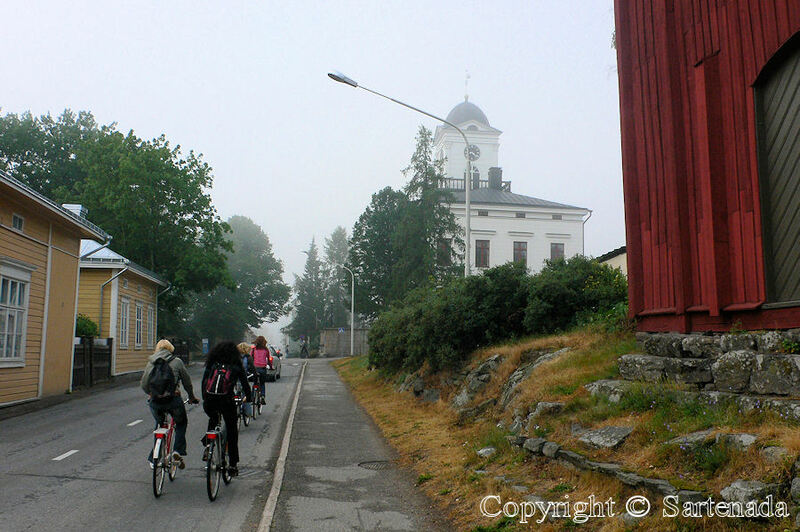 Those old coastal towns are privileged to enjoy the cultural heritage from those day when we under the rule of Sweden. 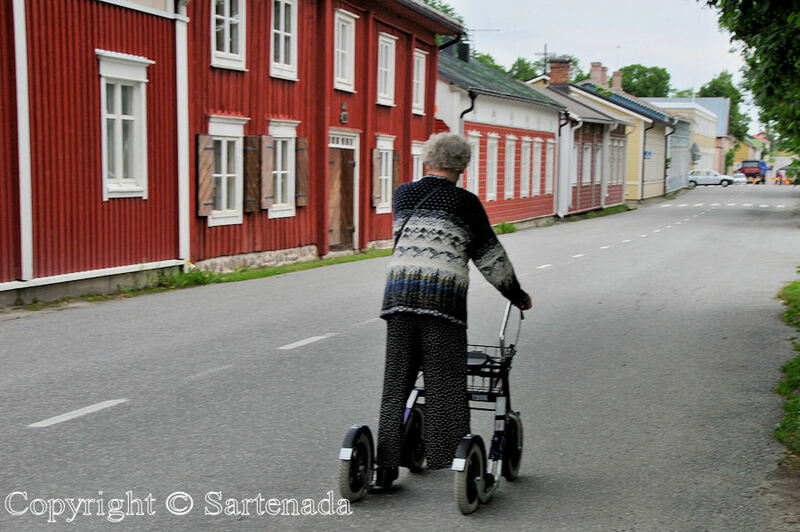 In some cases we are cherished some traditions “better” than they in Sweden. Excellent examples are our Poor-man statues. 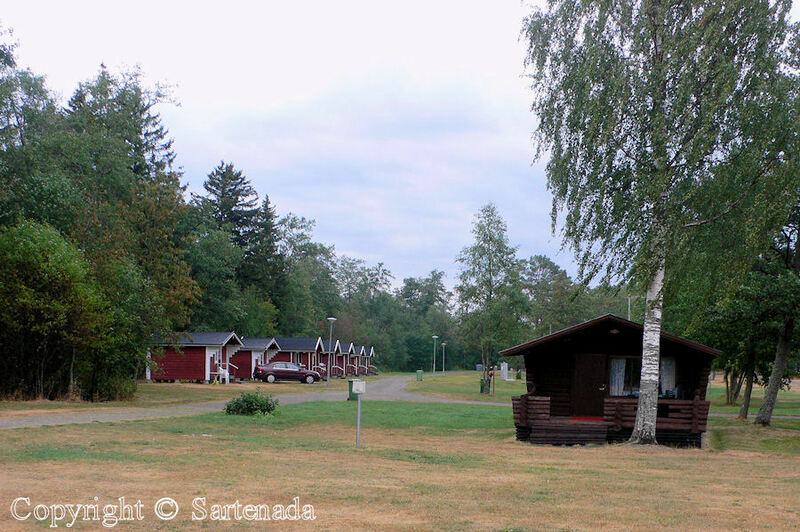 What comes to Åland it is interesting, but I cannot promise photos next summer, because we’ll make three week’s road trip to Germany next may. After it we must take it easy. Thank You for Your kind comment. You are welcome. Remember that outside the capital there is life also as my post shows. 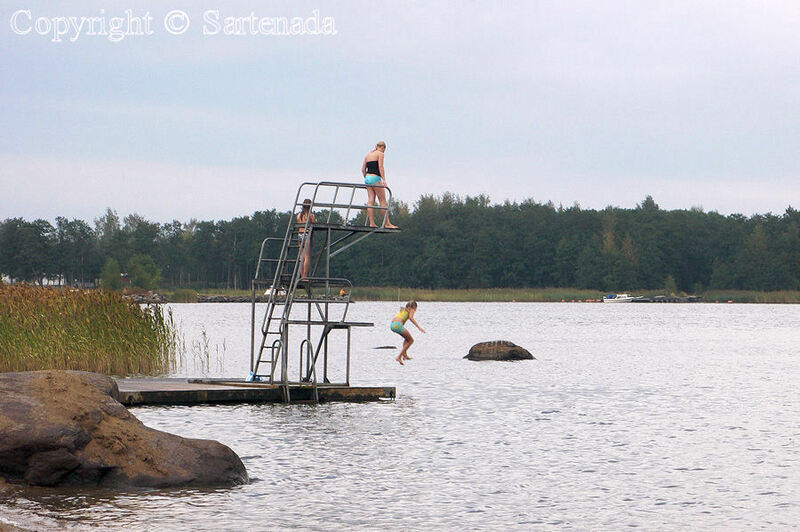 Thank you for sharing another corner of Finland with us. Charming! Yes, indeed another corner. Our country has “different” corner. One is Lakeland area where, I live. Old historic areas are found on the Southern and Southwest coastal line. In the North Lapland is hikers and skiers “paradise”. I enjoyed your today’s post very much, Matti. 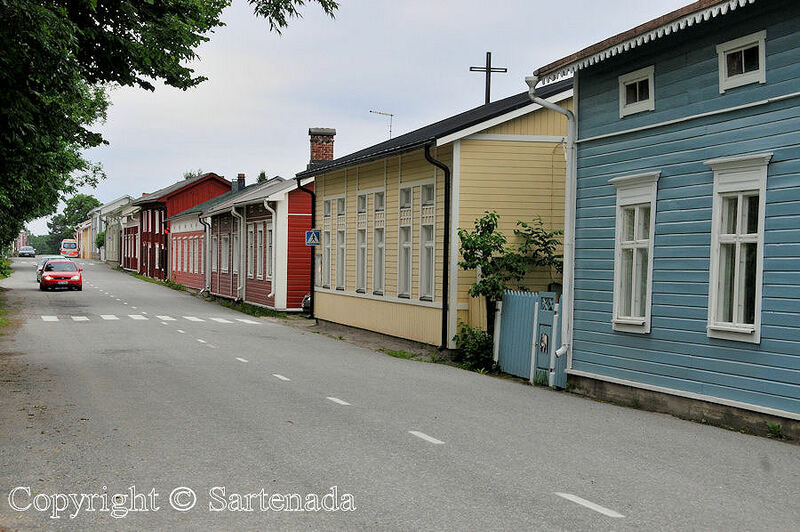 All these wooden houses, their different styles and many of them so brightly coloured! 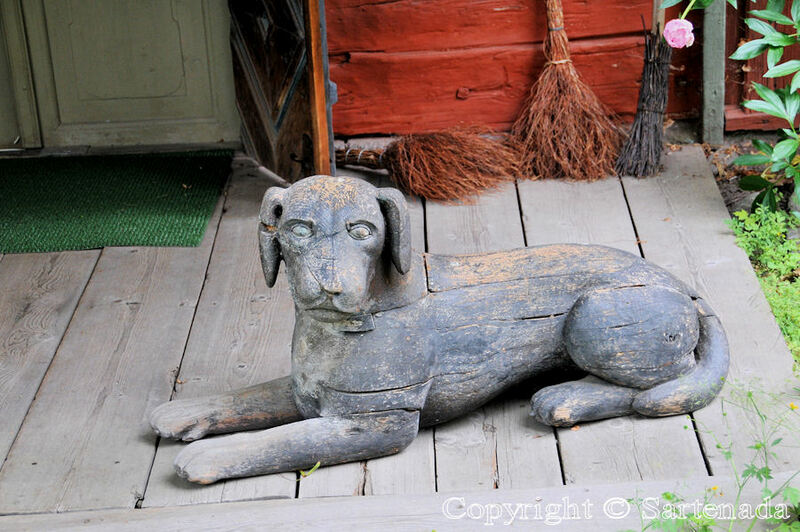 I really fell in love with the dog on the wooden floor (entrance). What an expressional as well as friendly looking watchdog! 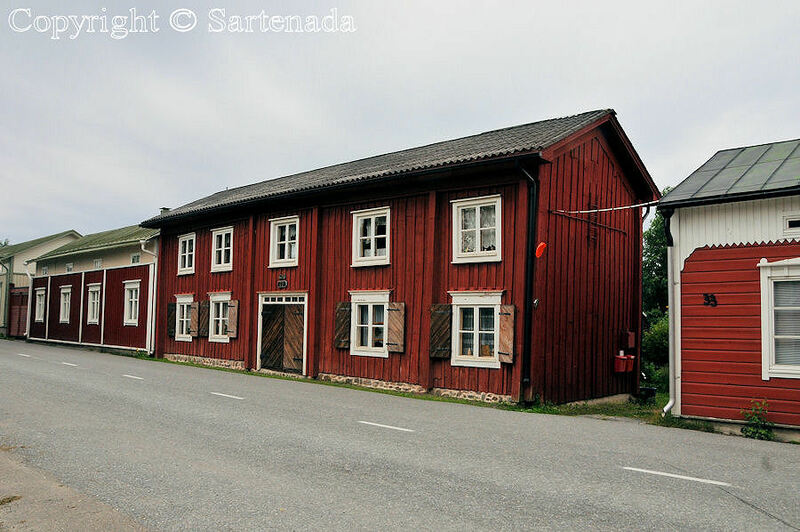 Nice to know more about Kristinestad and its buildings! Thank You. 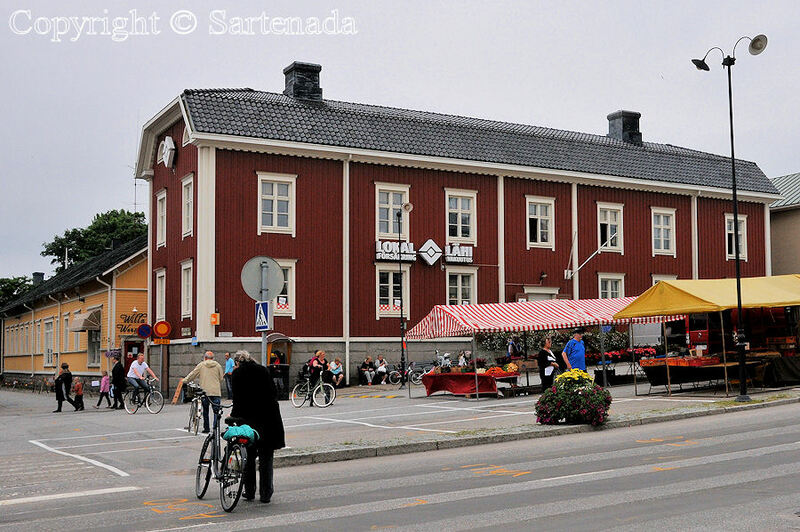 It was a great pleasure to present this small historic town. Next May we’ll explore Germany again during three weeks. Germany has so much to offer for different kind of people. Oh, you intend to come to Germany again next spring? How nice! And which part of the country is of interest to you (this time), Matti? Thank You. Our plans are widely open. My wife wants to see Frauenkirche in Dresden, we are interested to visit the island of Rügen, some mountain areas would be interesting, Europa park. We will also look for small village nearby to Frankfurt from which we could visit Frankfurt by S-bahn (shopping, because we know Frankfurt very well). These are just ideas. The main idea is to stay four or five nights in one place from where to make excursions. Visiting time about three weeks. Arriving by boat to Travemünde or Rostock. Back to home also by boat. We have made small tours in Frankfurt, Hamburg, München, Nürnberg, Mannheim, Dusseldorf, Aachen, Lindau, just to mention some places. Of course we are grateful about ideas. If You have sometime time to write to me, then You could post Your ideas to my email. My email address is available in my comments. I’ll think about it! However, I feel your plans are quite good. Rügen for example is beautiful! Will contact you separately by mail in case I think to have further really good proposals for your next stay. Very clean town, but that’s no surprise. 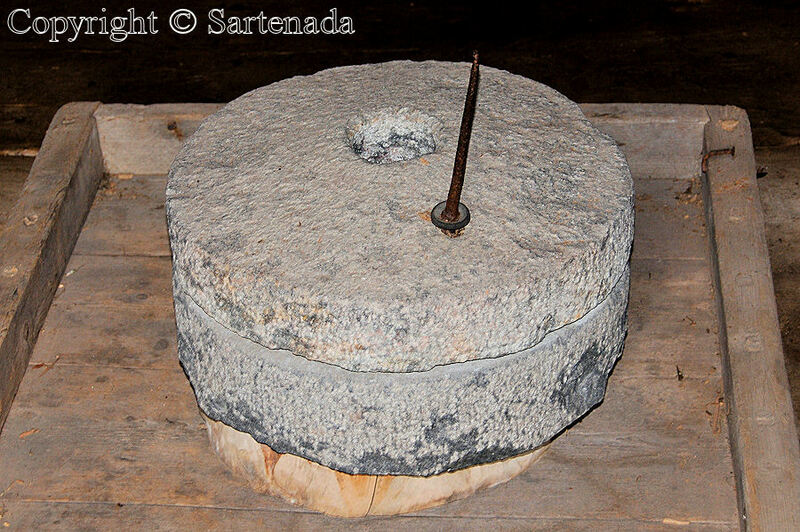 I love the old millstones! I am glad that You commented my post and did find from it something which You love. Thank You commenting and visiting my post. I feel happy when reading Your kind words. 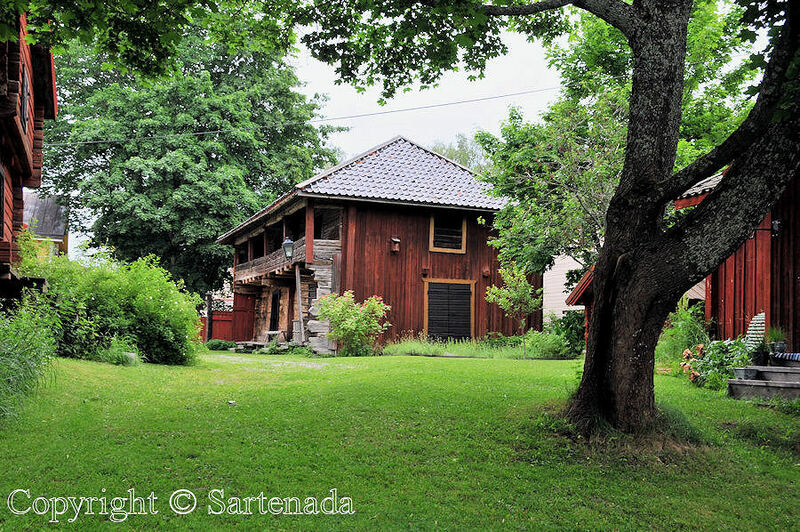 Esas casas de madera me fascinan…. Las fotos son ,además que lindas, muy interesantes,porque muestran partes de Finlandia desconocidas para la mayoría de nosotros. Me gusto’ mucho el kiosco de helados,y me encantaron las esculturas. Muchas gracias por sus palabras alabanzas. En muchos en las ciudades pequeñas se pueden encontrar sujetos interesantes muchas interessantes. 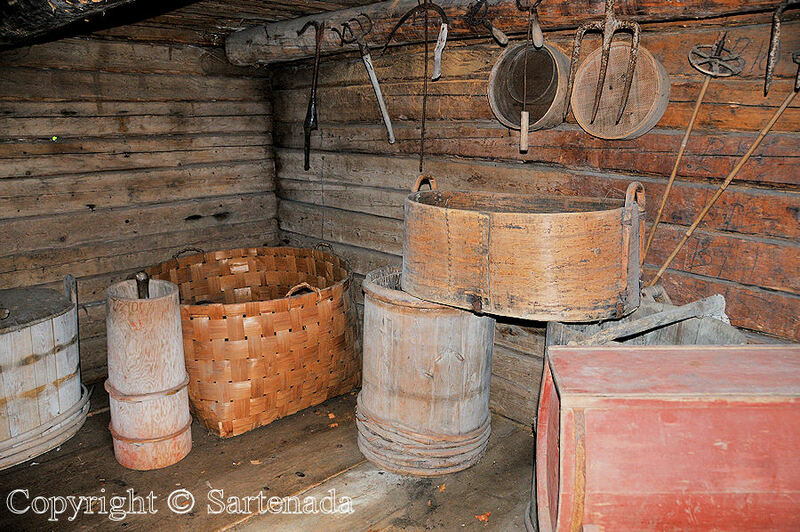 A mí me gustan casas viejas en madera que racontan historia. Wonderful photos. These do give an insight into the life of the town. I love your blog, it is so entertaining as well as educational and colorful. Have a great weekend. Thank You. When presenting this kind of town full with history, one cannot forget cultural and other background. Thank You visiting my blog and commenting it. 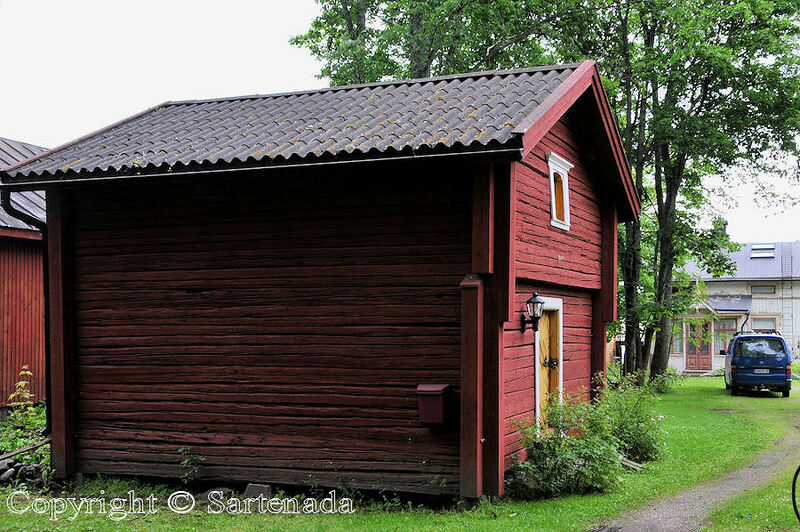 It is so enjoyable to see the wooden buildings. I love wood and things made from it and I’m always impressed with how sturdy wooden buildings are and how long they last! That’s a beautiful town! Your words warm my heart, because I love also wooden things weather they are houses or handcrafts. Thank You commenting so nicely. I am glad that You checked this posts which is so close to my heart. So many pretty photos! I love all the colorful houses. Have a wonderful weekend! I am happy that You loved my post. Thank You leaving Your praising words. After reading You kind comment I felt that I succeed with my post. Every time when I visit somewhere, I try to show to my visitors what I saw. Thank You. Lovely indeed! I especially enjoyed the beach photos at the end. Delightful. so nice to read that You loved also my old photos. 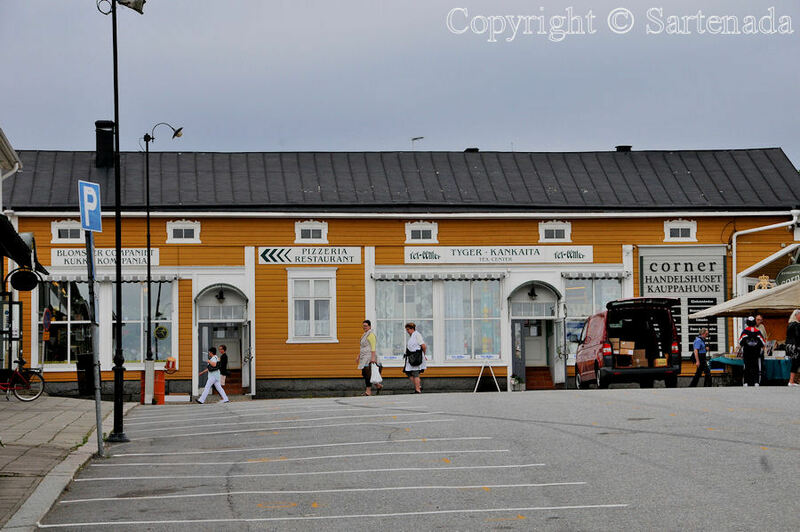 This small town is situated on the seafront. So nice to read Your kind comment. Thank You. Thank You for Your comment and learning at same time more from my “unknown” country. 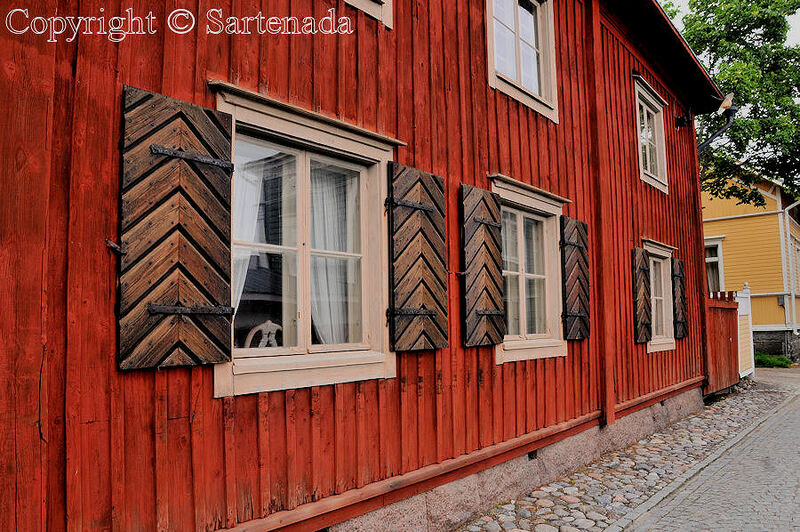 The wooden houses are beautiful. 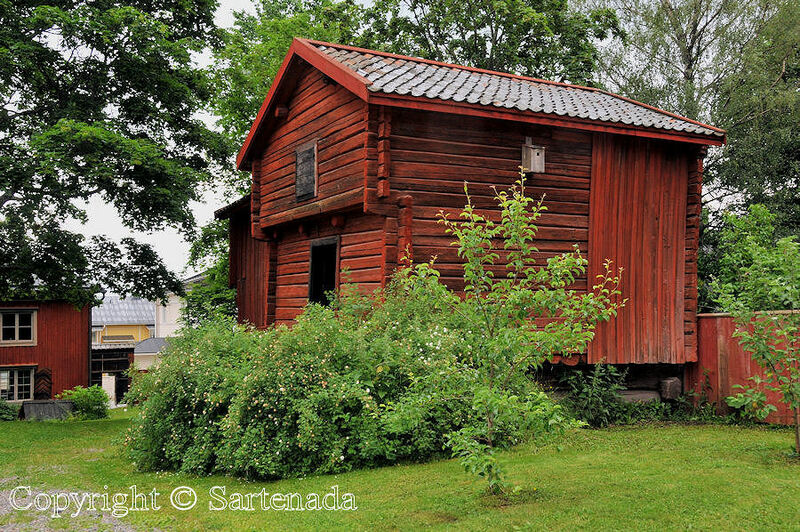 Although some are obviously old and remind me of log cabins from that period that we see over here, other houses seem to be more modern. I’m glad they were built in a style that maintains the charm of this little city. Thank You. 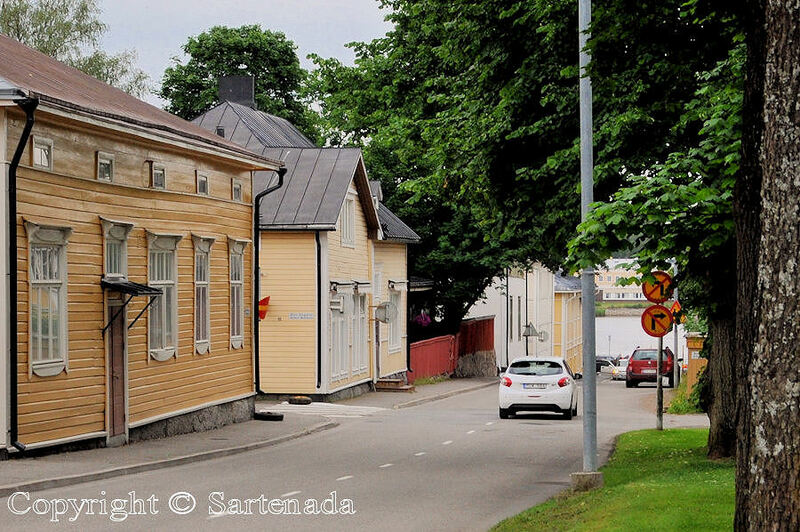 In one of my photos there is house with text 1731. 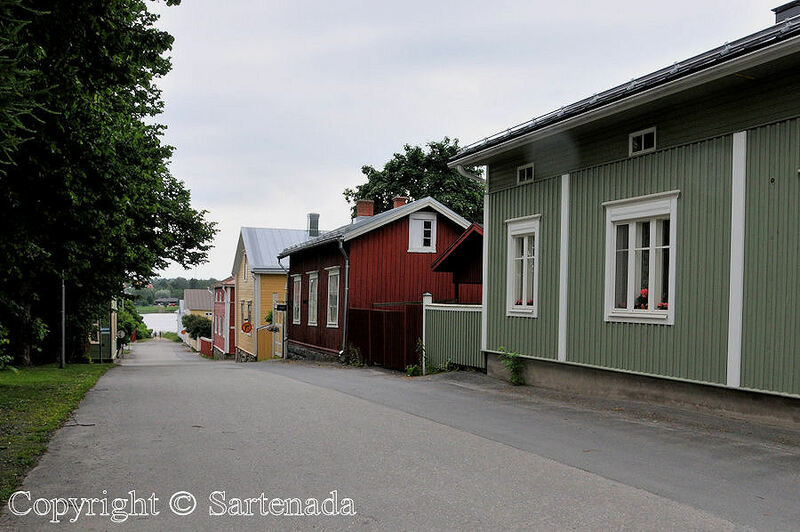 In Helsinki there are houses from the same period. 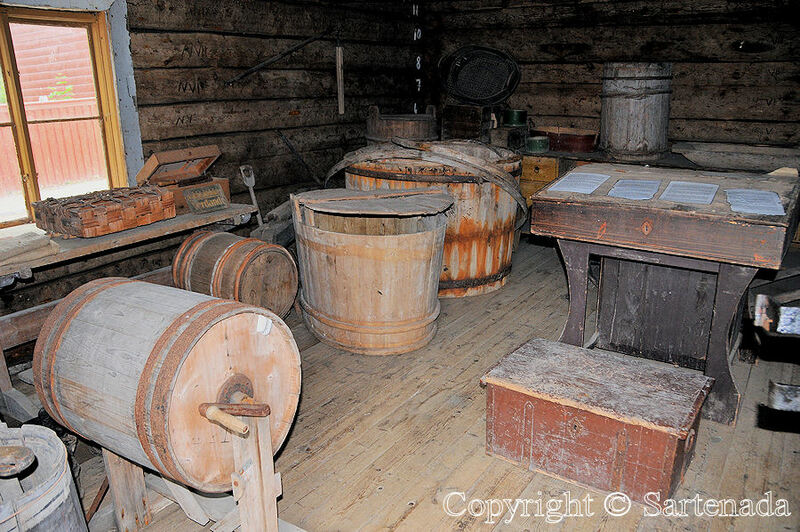 The oldest in the heart of Helsinki is the House of Sederholm from 1757. 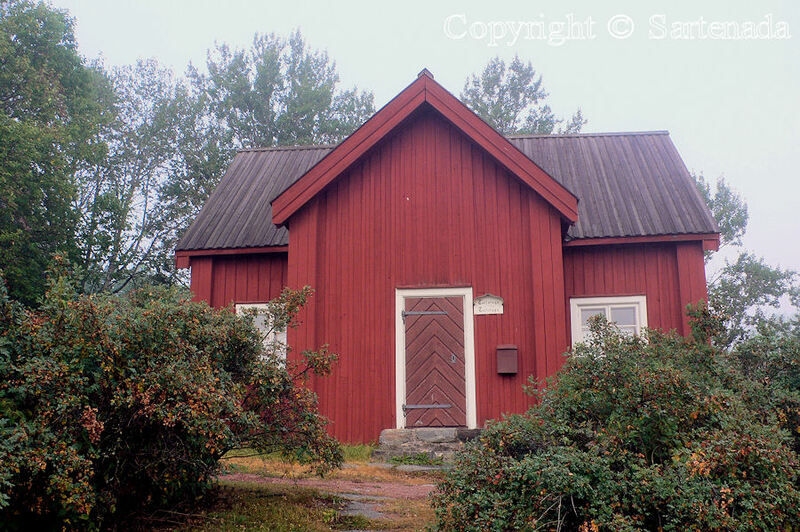 When talking about old wooden houses in Finland one must to remember that the worst enemy for them were fires. Sigh! Very beautiful photos! Truly idyllic and timeless! Thank You. Small can be beautiful also. Merci de m’avoir fait un commentaire. Moi, je l’aime aussi. neet! like a previous commenter: to some degree your pixures make one feel like they’re axually there! and like “Ann” mentioned: the workshops, etc. “before power tools”. i was gonna ask about that — the dusty worksheds — woodworking mainly? Thank You for Your visit and leaving Your kind comment. I am sorry that I cannot answer to Your question, because I have no ideas. 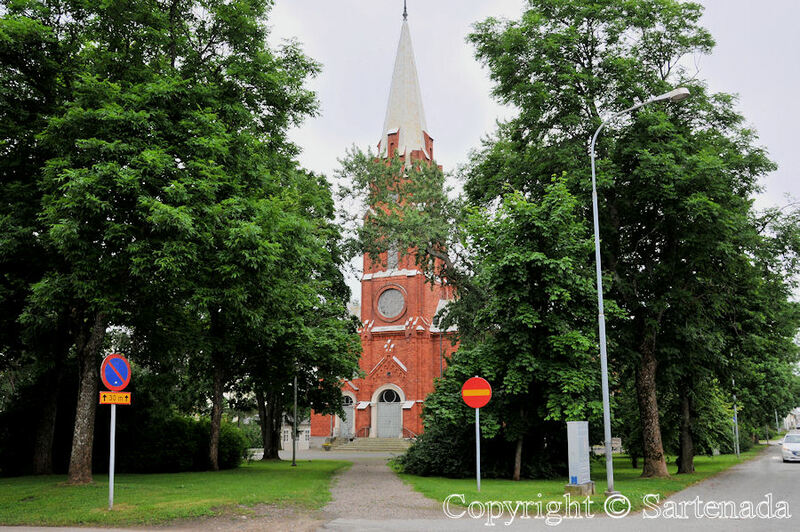 I just visited this town, shot photos and left. What a colorful place, which you captured very well. Every photo is beautiful, even when the fog came in. I can’t believe that some of the buildings are that old, they look very well looked after. It looks so relaxing, with very few cars and people. Those fog photos are taken by my old pocket camera. 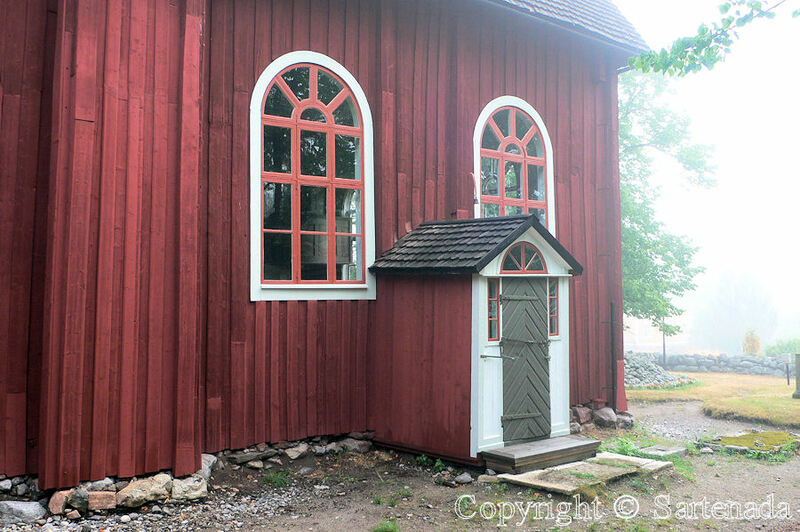 I thought for a long time, if I’ll show them and finally I decided to show them, because among due to red that old wooden church. 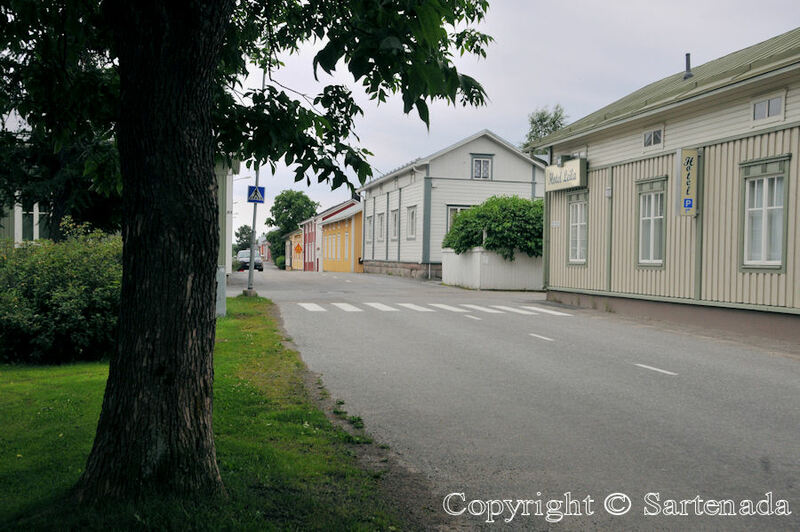 I very much enjoyed the photos of this small town. 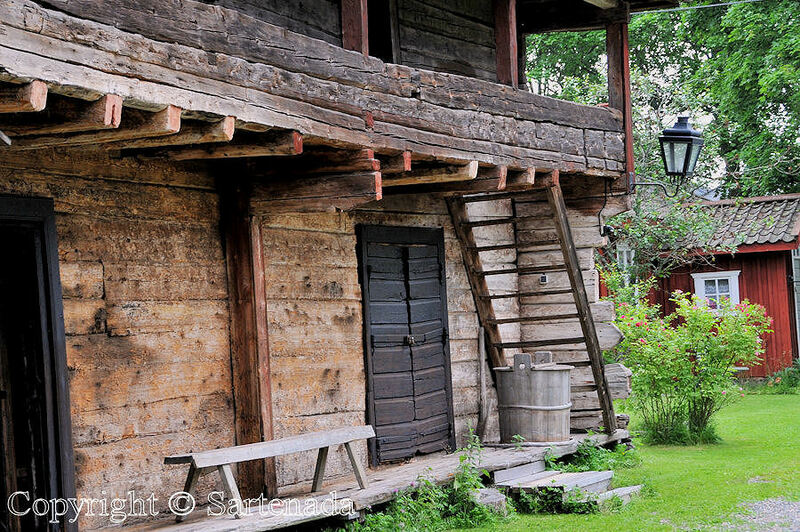 I thought the buildings made with hand-hewn timbers (like this one) were particularly interesting. Thank You for Your visit and great comment. I think that You are right. When I was child I saw many ax hewn logs. 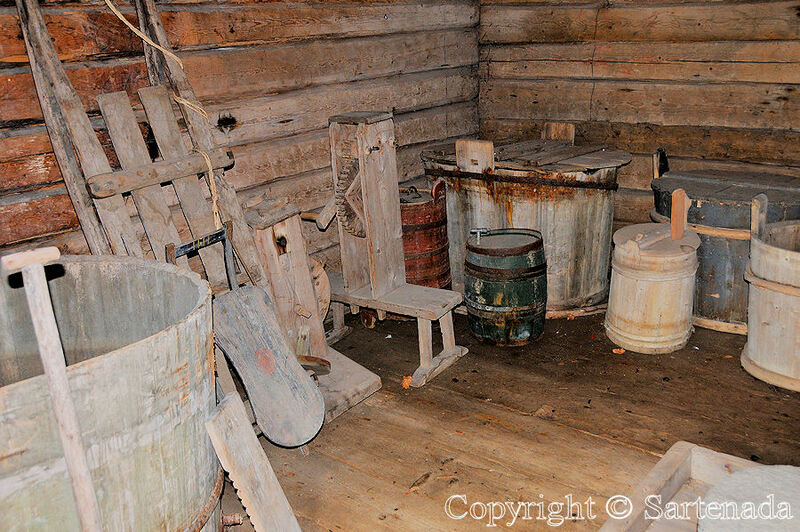 In times gone by, people were very handy. What beautiful pictures! I’m going to add Finland to the places I must see! Thank you for sharing all the beautiful places you have been. Thank You for Your praising comment. You are welcome! 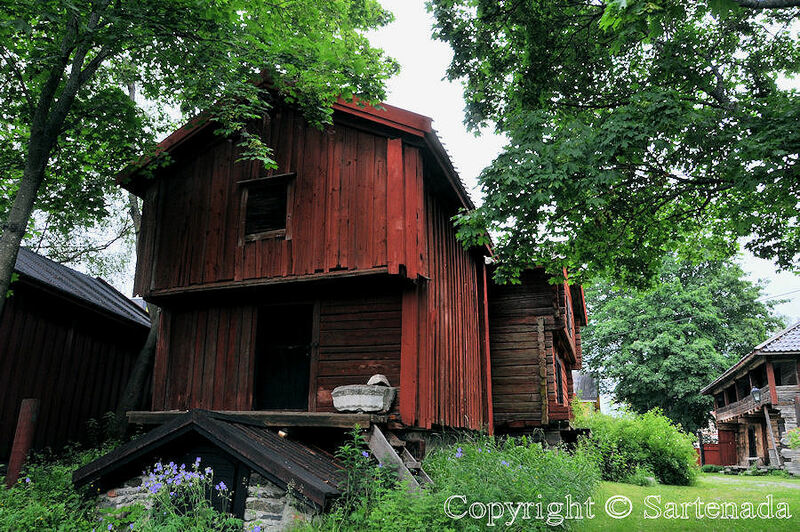 My photo blog gives ideas where to visit; I mean not only in Helsinki, in the capital of Finland. Thank You for Your visit of this post. 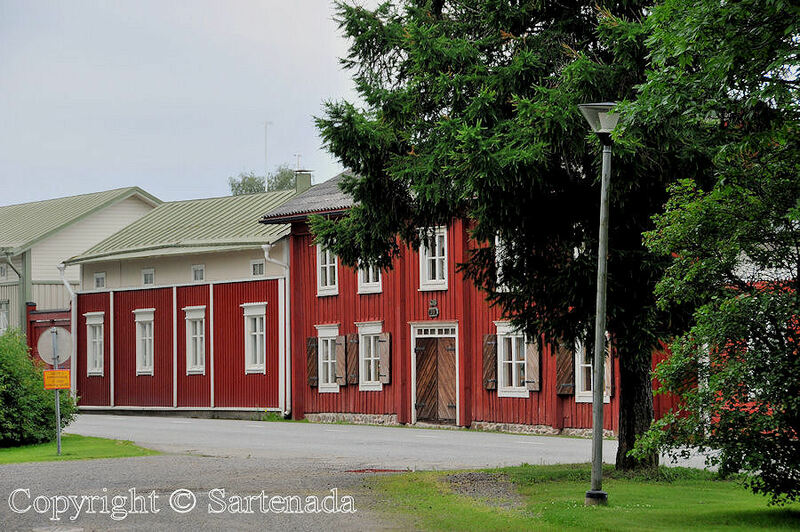 I love these old, historic towns with wooden houses.